A 27 year-old woman woke up this morning with her eyelids stuck together. She has a gritty feeling on the surface of her eyes, has ongoing discharge and her eyes look red. She finds the bright lights of the emergency department a little uncomfortable. You might also want to check out Life in the Fast Lane’s Red Eye Challenge. Q1. What is the likely diagnosis and what are the different types? She most likely has conjunctivitis — but we can’t be sure what the underlying cause is from the information provided. Conjunctivitis refers to inflammatory changes limited to the bulbar and/or palpebral mucous membranes (the conjunctiva). The cause may be viral, bacterial, mechanical, allergic, or toxic in nature. Conjunctivitis may also be a feature of systemic diseases such as Kawasaki disease or Stevens-Johnson syndrome. Conjunctivitis is termed acute if the duration is <4 weeks. If the cornea is also inflamed, the term keratoconjunctivitis is used. Q2. What features on history should be obtained in a patient with this condition? Viral: contact history with recent eye infection or URTI (especially children), burning sensation with watery discharge, classically starts in one eye then spreads to the other. 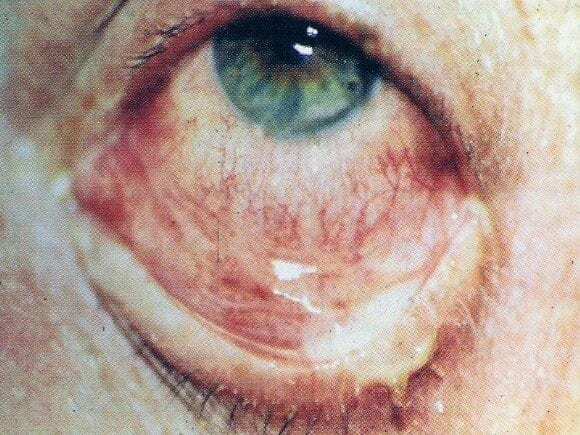 Bacterial: tender inflamed conjunctiva with purulent discharge from the conjunctival sac. Often bilateral. Systemically well. More common in the elderly and children. Chlamydial: watery discharge in young adults. Associated symptoms of STI. Gonococcal: hyperacute (<24 hours), with severe purulent discharge, STI symptoms. Allergic: itch, history of atopy. Atopic/ vernal: Itching, thick, ropey discharge, seasonal (spring/ summer) recurrences, history of atopy. Usually seen in young males. Q3. What features on examination should be obtained in a patient with this condition? Inferior palpebral conjunctival follicles and tender palpable preauricular lymph nodes. Other findings may be present: watery discharge, red and edematous lids, pinpoint subconjunctival hemorrhages, punctate keratopathy, a membrane/ pseudomembrane. Intraepithelial microcysts may be an early corneal finding. Purulent white-yellow discharge of mild to moderate degree. severe purulent discharge with hyperacute onset (<24 hours). Other findings include: conjunctival papillae, marked chemosis, preauricular adenopathy, eyelid swelling. Rule out corneal ulcers which can progress rapidly. 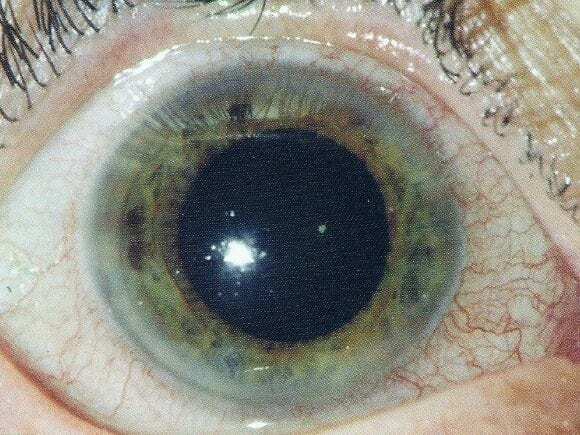 Inferior tarsal or bulbar conjunctival follicles, superior corneal pannus, palpable preauricular node, or peripheral SEIs. A stringy, mucous discharge may be present. Chemosis, red and edematous eyelids, conjunctival papillae, no preauricular node. Large conjunctival papillae (under the upper eyelid or along the limbus). Other findings may be present: superior corneal “shield” ulcer, Horner-Trantas dots (raised white limbal dots consisting of degenerated eosinophils), superficial punctate keratopathy (SPK). In reality it may not be possible to distinguish between viral and bacterial conjunctivitis in the emergency department. Q4. What investigations are required in patients with this condition? Eye swabs are generally only required if gonococal conjunctivitis is suspected or if the condition becomes chronic or is recurrent. An immunofluorescence test may be performed if chlamydia inclusion conjunctivitis is suspected. Further work-up may be required if conjunctivitis occurs in the context of coexistent systemic disease, suspected sexually transmitted disease or if the patient is systemically unwell. Q5. How is conjunctivitis managed? viral conjunctivitis is highly contagious for up to 14 days or while the eyes are red/ weeping — always wash hands, use and alcohol-based swabs to thoroughly clean equipment and use fresh eye drops and tissues for each new patient. May worsen over 4 to 7 days, and if there is corneal involvement it may persist for up to 3 weeks. An ophthalmologist may consider using topical steroids if a membrane/ pseudomembrane is present acutely or if SEIs reduce vision later. Antibiotics are not required, unless bacterial conjunctivitis cannot be excluded. Regular hygiene to prevent build up of secretions and treatment with antibiotic drops. H. influenzae conjunctivitis may be treated with oral amoxicillin/clavulanate (20 to 40 mg/kg/day) due to the risk of extraocular involvement (e.g. otitis media, periorbital cellulitis, pneumonia and/ or meningitis). Treat with systemic antibiotics if there is associated dacryocystitis. ceftriaxone IM 1g stat. If there is corneal involvement hospitalisation and IV ceftriaxone is required. Topical ciprofloxacin and anti-chlamydial treatment is also given. Azithromycin 1g po stat or 1 week of doxycycline 100mg bd po. Topical erythromycin or tetracycline tds for 2-3 weeks. Topical agents to reduce itch. Consider oral loratidine unless symptoms are mild. An ophthalmolgist may use topical steroids in severe cases. An ophthalmologist will usually prescribe prophylactic mast cell stabilisers and/ or antihistamines. Corneal shield ulcers need specific treatment guided by an ophthalmologist, which may include topical antibiotics and immunosuppressant agents. Q6. What are the causes and variants of viral forms of this condition? Adenovirus is the most common cause. Adenovirus: can cause epidemic keratoconjunctivitis — subepithelial infiltrates associated with this are shown in this video at RootAtlas.com. Also causes pharyngoconjunctival fever, especially in children (conjunctivitis and sore throat). Acute hemorrhagic conjunctivitis: tends to occur in the tropics, associated with cox-sackie and enteroviruses, usually lasts a week. Herpes simplex and zoster viruses: usually associated with either vesicular skin lesions or other eye involvement (e.g. dendritic corneal ulcers). These are discussed in other posts. Systemic viral infections: conjunctivitis is a non-specific feature of many systemic viral infections including: measles, mumps, influenza, and dengue fever. Q7. What are the bacterial causes of this condition? Other unusual causes can occur (e.g. fungal), especially if there is underlying immunosupression. Q8. 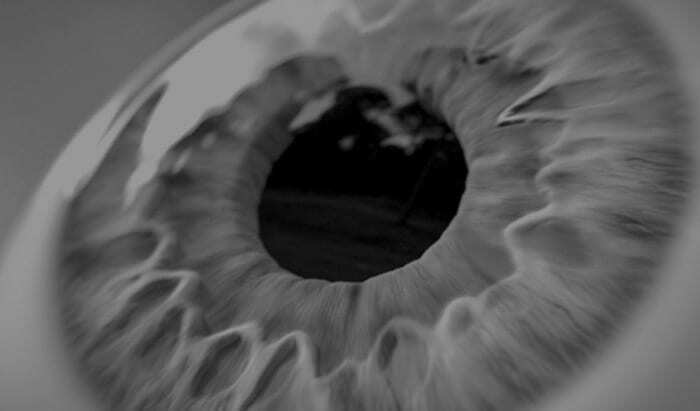 When should a patient with this condition be referred to an ophthalmologist? Viral: photophobia and significantly decreased visual acuity indicates severe disease that may require steroids. Prolonged conjunctivitis of >3weeks — need to consider chronic conjunctivitis, chlamydia, and other diagnoses. Work cover issues: longterm scarring of the eyelids, employer responsibilities. Allergic and atopic conjunctivitis: all children and those with poorly controlled symptoms. Q9. How can you distinguish between injection of conjunctival vessels and scleral vessels? Q10. What are follicles, and what is their diagnostic significance? 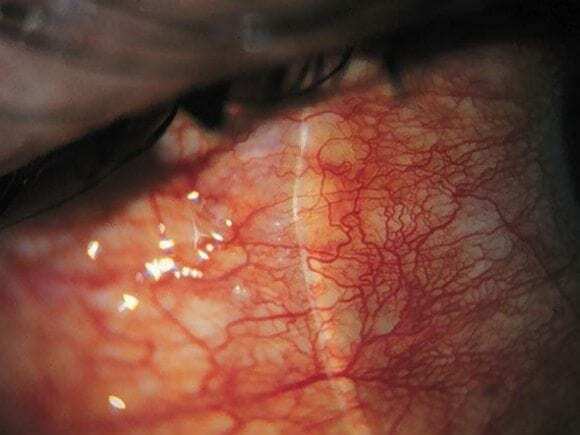 Follicles are raised whitish-grey structures with overlying branching conjunctival blood vessels that may be present on the palpebral conjunctiva of the superior and inferior conjunctival fornix. Q11. What are papillae, and what is their diagnostic significance? Papillilae are cone-shaped conjunctival elevations that occur in response to inflammation. Small papillae give a velvety appearance to the naked eye, whereas giant papillae result in a cobble-stone appearance. Trachoma is one of the most important cause of blindiness in many developing countries affected by poor sanitation and overcrowding. It is caused by Chlamydia trachomatis and there are various grading systems of severity. Manifestations vary from the presence of purulent discharge with tender preauricular nodes, superficial punctate keratopathy (SPK) and tarsal follicles to severe keratitis and ulceration. Treatment is with macrolides or tetracyclines. The WHO is trying to eradicate trachoma by widespread distribution of azithromycin. Q13. What is Parinaud oculoglandular conjunctivitis? A form of severe conjunctivitis characterised by granulomatous nodules on the palpebral conjunctiva and swollen ipsilateral lymph glands. Fever and rash may be present. Other causes — e.g. syphilis, sarcoidosis, hematological malignancy, fungi, listeria, viruses (e.g. mumps, mononucleosis). Life in the Fast Lane —- The Red Eye Challenge.